My collection of books below are the result of research on my ancestors' arrival in Australia. If you think you have a connection with these families, please contact me. 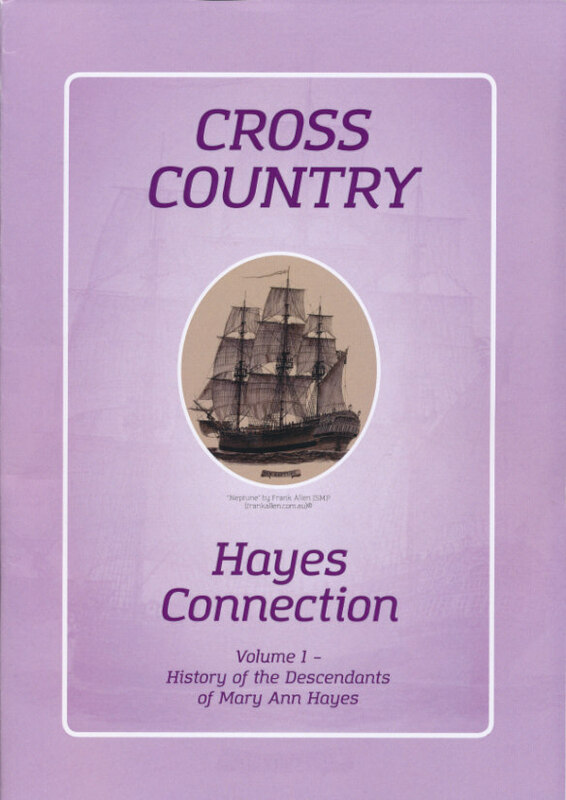 2018 - The "Cross Country – Hayes Connection" Vol II will cover the descendants of the Hayes siblings, as well as a full listing of the known descendants of Richard Hayes (convict) and Elizabeth Cross (youngest child of Charles Cross and Rose Flood). 2020 - The "Cross Country – Hayes Connection" Vol III will cover the descendants of James Hayes, as well as a full listing of the known descendants of Richard Hayes (convict) and Elizabeth Cross. It is an update on the 2005 edition, and will include numerous photos and stories by various family members, as well as historical notes. 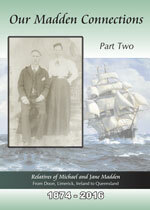 Descendants of Michael and Jane Madden - 1874-2016 Michael Madden arrived in Australia on the "Flying Cloud" in 1863, with his parents, sister, brothers and a cousin, from Limerick, Ireland. The family originally settled in the Ipswich district. Michael went droving and in 1874, he married Jane Smart in Rockhampton. Jane had arrived on the "Landsborough" in 1873. They eventually settled in Springsure. 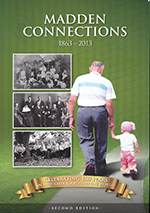 Stories and photos of Michael’s descendants are included in the 400 page Part 1. 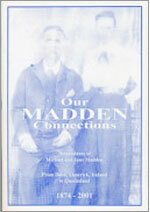 Stories and photos on Michael’s relatives that were missed in the Madden Connections, 2014 edition, are included in Part 2 as well as a 193 page fully indexed tree of the Australian Madden descendants. 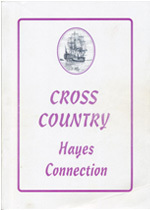 The "Cross Country – Hayes Connection" covers the descendants of Mary Ann Hayes and her two husbands, James Baker and Samuel Onions, as well as a full listing of the known descendants of Richard Hayes (convict) and Elizabeth Cross (youngest child of Charles Cross and Rose Flood). 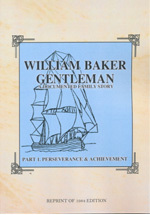 It is an update on the 2005 edition, and this 400 page book includes numerous photos and stories by various family members, as well as historical notes, and corrections to the first edition. The family started at Windsor, in the Hawkesbury district, and spread all over the world. Patrick Madden arrived in Australia from Limerick, Ireland on the "Flying Cloud" in 1863, with his wife Margaret, only daughter Elizabeth, four sons and a nephew, James. Another two sons were born in Australia. The family originally settled in the Ipswich district. James' two sisters arrived in 1864 and his younger brother in 1877. There is currently 5767 known direct descendants in the database, plus spouses and parents-in-law. Johann Christian Andreas Wesche, (Andrew) his wife Conradina Wilhelmine Tappe, and their six children arrived on the "Sir William Wallace" in October 1881. They had another four children whilst living in Mackay. In later years, the parents and youngest children moved to Hatton Vale. 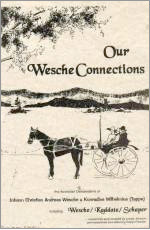 Two daughters married the Kaddatz brothers (Wesche Kaddatz Connections) and their stories are updated in this edition. 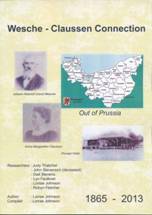 Andrew's elder brother Johann Heinrich David Wesche (Henry) (Wesche Claussen Connections) arrived in 1865 and their stories are updated in this edition. 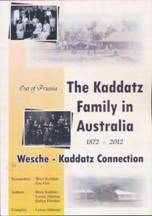 There are 2073 known direct descendants plus spouses, including the Kaddatz direct descendants. Includes the full tree of known Australian Wesche descendants of 2,897 direct descendants. Johann Heinrich David Wesche (Henry) arrived on the "Beausite" in February 1865. He married Anna Margarethe Claussen in Bowen on 30 January 1869. They settled in Mackay and had 11 children. There are 821 known direct descendants plus spouses. Daniel Ludwig Edward Kaddatz, his wife Auguste Justine Emilie Grosskreutz and their two sons arrived on the "Reichstag" in August 1872. They eventually settled in Mackay, and the sons married the Wesche sisters. There are 1248 known direct descendants plus spouses. This section includes the research undertaken by Brice Kaddatz and others. 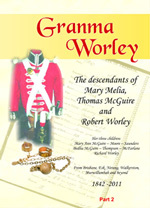 Mary Melia arrived in Moreton Bay in 1842 with her Redcoat husband, Thomas McGuire. They had two daughters before she was widowed. 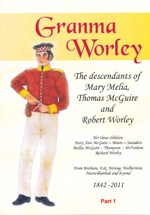 She then married Robert Worley and settled in Nerang. Following the death of her eldest daughter, she moved to Esk, and raised her five grandchildren. The second daughter settled in Walkerston and her only son moved to Murwillumbah, NSW. The early history was researched by Greta Sturton. This book is dedicated to Greta and $1 from every book published will be donated to "Leukaemia" research. 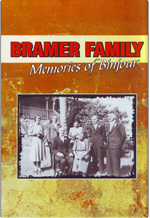 The history of the descendants of Otto Bramer, who arrived on the Asturias, in 1909. Includes the memoirs of the surviving descendants of Otto, his wife, Ida, and their five children, Freda, Paul, Rudolf, Hermann and Adaline, along with the history of their descendants. 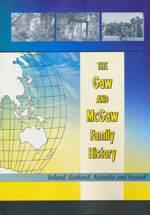 This 220 page book covers the GAW and McGAW families of Ireland and Scotland from the early 1800's, through to the current descendants of James McGAW who arrived in Queensland in 1860. There are many stories and photos supplied by the descendants. A reprint of the 1984 books by Thomas Le Sueur, tracing the history of William Baker from his conviction, transportation, life in the new Colony of 1790, through to his demise in 1828. Part 2 traces the life of his children. Reprinted with the kind permission of the Le Sueur family. 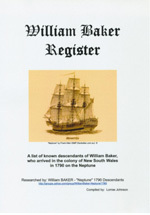 A list of known descendants of William Baker, who arrived in the colony of NSW as a convict per the 'NEPTUNE' in 1790. 350 plus pages. (A4 format); in excess of 10,000 descendants. All Names in Database fully indexed. 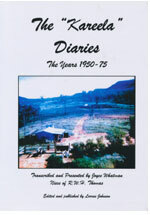 A transcript of the diaries of a central Queensland cattle station, owned by Mr R W H Thomas, including photos, explanations and testimonials. 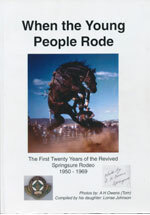 Based on the 500+ slides taken by A H Owens (Tom) at the Springsure Rodeo; with write-ups from 'Hoofs and Horns' and other publications to give the history of the era and the people who rode. Henry arrived in Bowen in 1874 and settled in Springsure. He had two sons, the eldest settled in Clermont and the younger settled in Springsure. 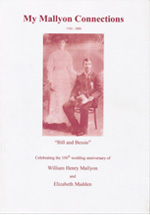 This book celebrates the 100th wedding anniversary of the younger son. Section One is 132 pages on his descendants. Charles, Susan and the three youngest children arrived in Maryborough in 1874 (one month after Henry). Susan died in Maryborough and the family settled in the Ipswich region. Section Two is 128 pages on Henry's eldest son, his Brisbane relatives as well as families in England and Canada. Section Three is a 40 page descendants Family Tree. All sections are fully indexed. The "Cross Country – Hayes Connection" covers the descendants of Charles and Rose's youngest child, Elizabeth, who married Richard Hayes (convict). 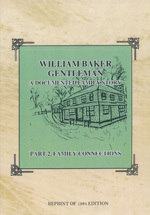 It includes numerous photos and stories by various family members, as well as historical notes. The family started at Windsor, in the Hawkesbury district, and spread all over the world. 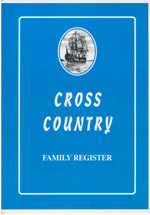 The register is a list of known descendants of Charles Cross and Rose Flood, who arrived in the colony of NSW as convicts per the 'NEPTUNE' in 1790, published by the Cross-Flood Group. Patrick Madden arrived in Australia on the "Flying Cloud" in 1863, with his wife, daughter, 4 sons and a nephew, James, from Limerick, Ireland. The family originally settled in the Ipswich district and James later brought out his two sisters and brother. Michael Madden arrived in Australia on the "Flying Cloud" in 1863, with his parents, sister, brothers and a cousin, from Limerick, Ireland. The family originally settled in the Ipswich district. Michael went droving and in 1874, he married Jane Smart in Rockhampton. Jane had arrived on the "Landsborough" in 1873. They eventually settled in Springsure. 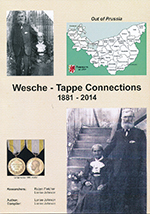 The Wesche family arrived in Australia in 1881 from Germany, and originally settled in the Mackay district. The parents and the two youngest members of the family moved to the Hatton Vale district in the early 1900's. Two of the older sons who initially remained in Mackay later married (in 1907/08) and settled in the Bundaberg / Goomeri districts. The daughters married Kaddatz and Schaper.